It is such an honor to have been selected by the American Wind Energy Association as the corporate social responsibility partner for the WINDPOWER 2015 Conference & Exhibition in Orlando. Clean the World has a dual mission that involves both environmental and health components. 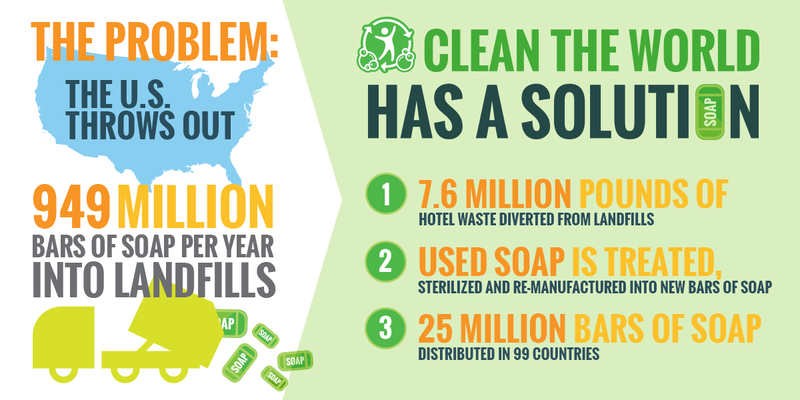 We lead the “Global Hygiene Revolution” to distribute recycled soap and hygiene products from more than 4,000 hotel and resort partners to children and families, while also diverting tons of hotel waste from landfills. The soap we recycle into new bars is a simple “vaccine” in developing regions where there is a high pre-adolescent death rate due to pneumonia and diarrheal diseases – which are two of the top killers of children under the age of 5. 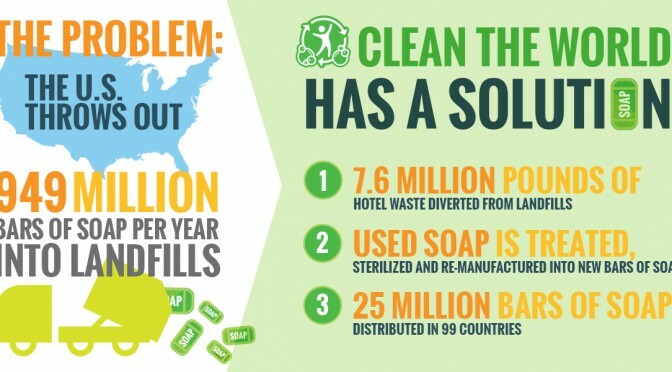 Since 2009, more than 25 million bars of Clean the World soap have been distributed in 99 countries, and more than 7 million pounds of waste have been diverted from landfills. Clean the World has fostered a brand synonymous with providing socially and environmentally responsible corporate initiatives to the business community. We offer powerful CSR opportunities with our ONE Project program, which AWEA is incorporating into WINDPOWER 2015. We are so excited to collaborate with AWEA on this event. In the coming years, we look forward to seeing a growing segment of the hospitality industry adopt wind energy as a clean, abundant, affordable alternative. 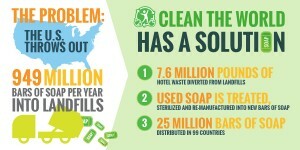 Thank you for your commitment to the environment, sustainable energy, and the Global Hygiene Revolution.